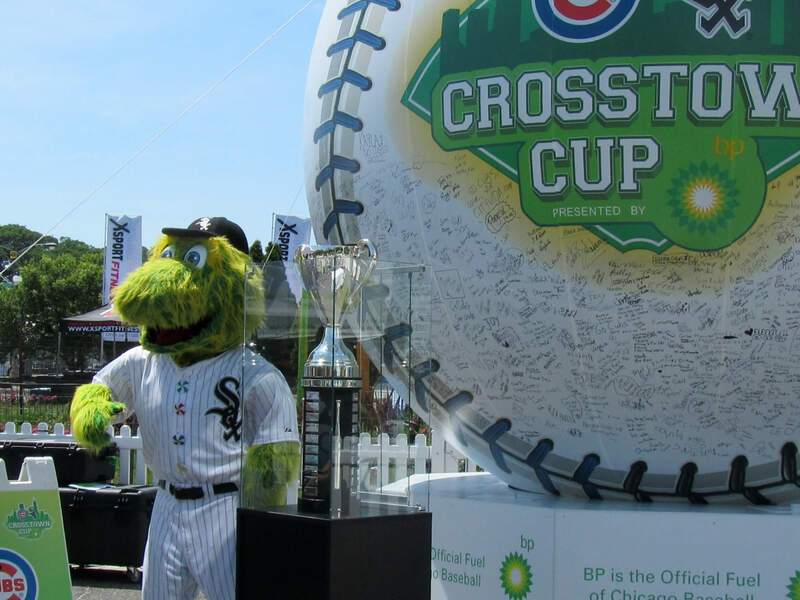 BP sponsors the Crosstown Cup, the annual baseball game between the Chicago Cubs and the Chicago White Sox, and wanted a way to build excitement for the event and engage fans across Chicagoland. 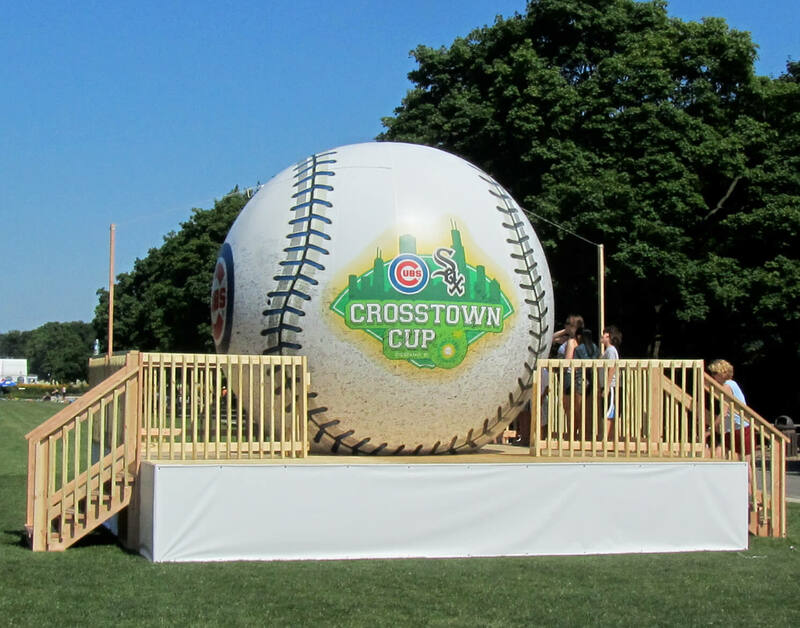 Golin and DoubleTake Design teamed up to create a 13′ tall inflatable baseball featuring the Crosstown Cup logo on two sides and the Cubs / Sox logos on the other two sides. 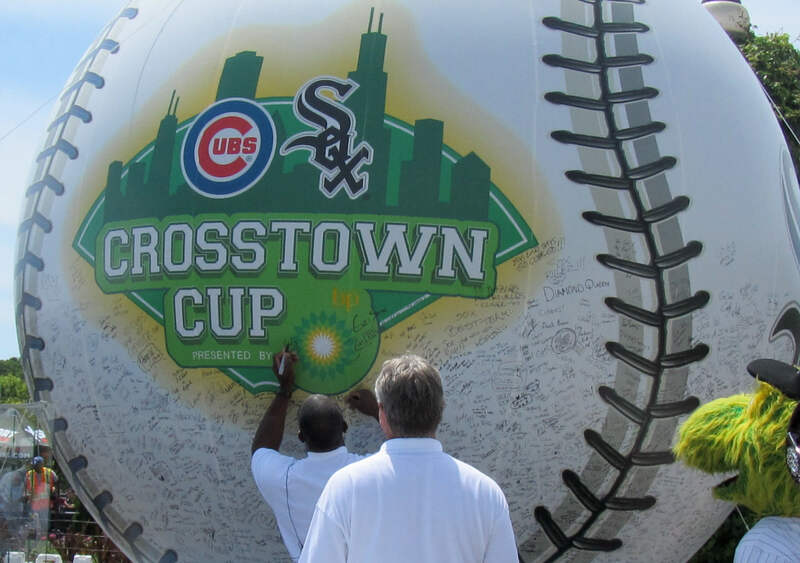 It was first displayed at A Taste of Chicago, and fans were encouraged to sign the ball, meet some players and hang out with mascots. 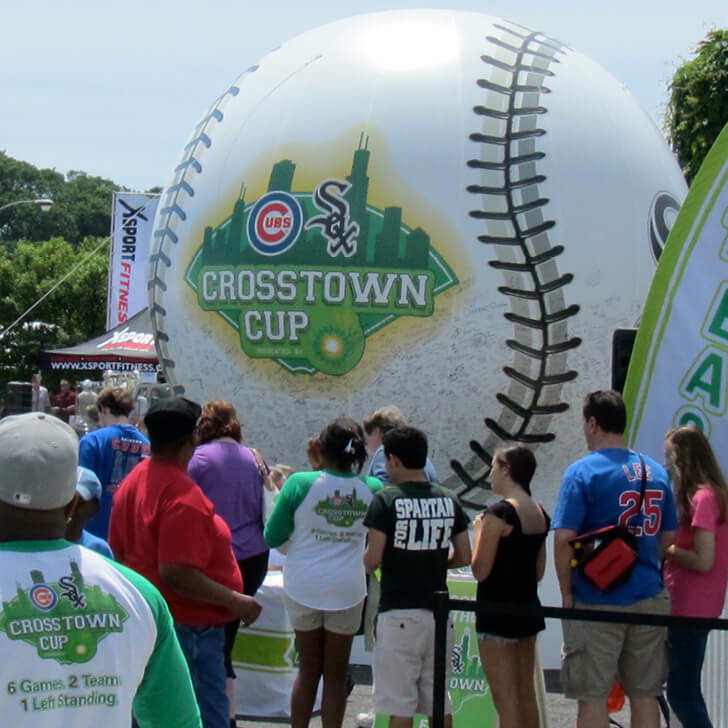 The ball then traveled to other locations, attracting crowds everywhere it went. 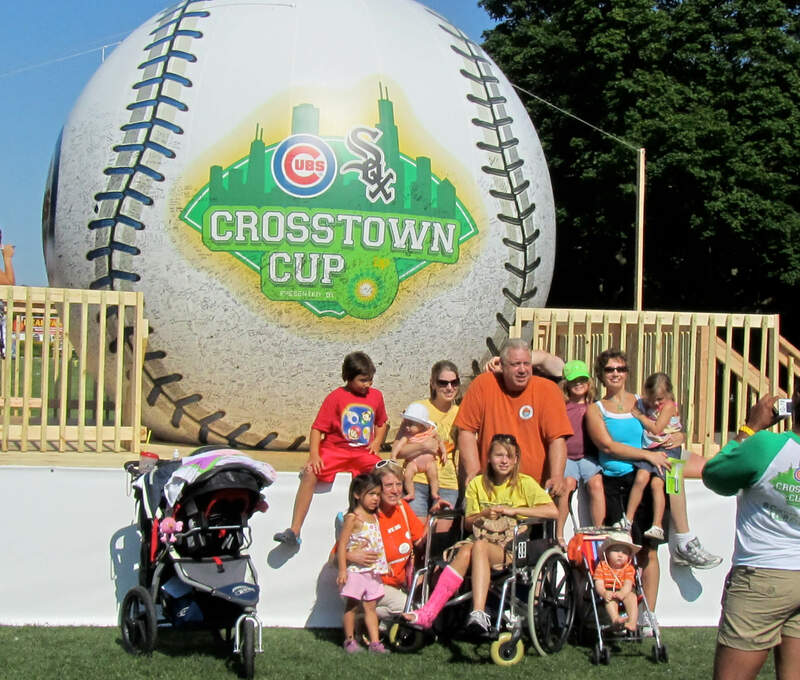 We designed and fabricated the ball and stand, as well as ADA-compliant stairs with ramp that was built and adjusted over time to allow people to sign higher and higher on the ball as it filled up with signatures. 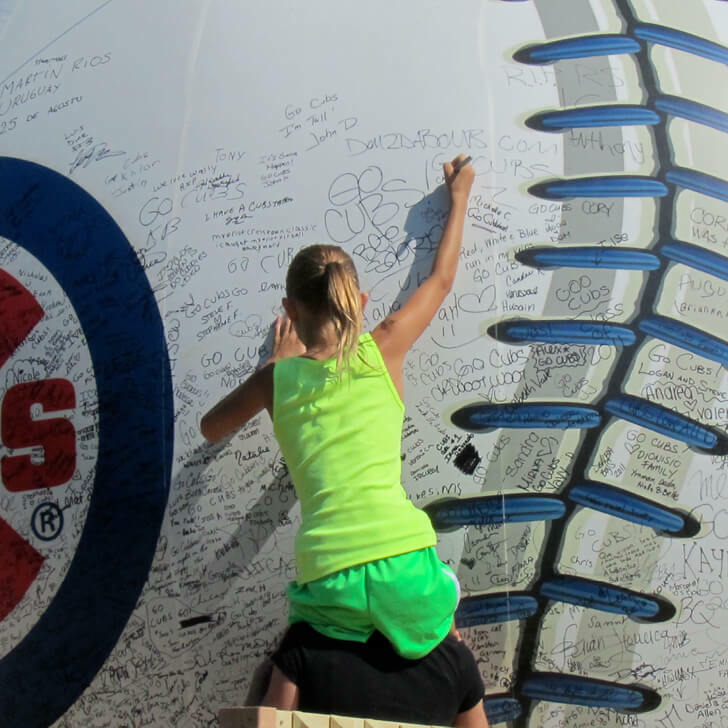 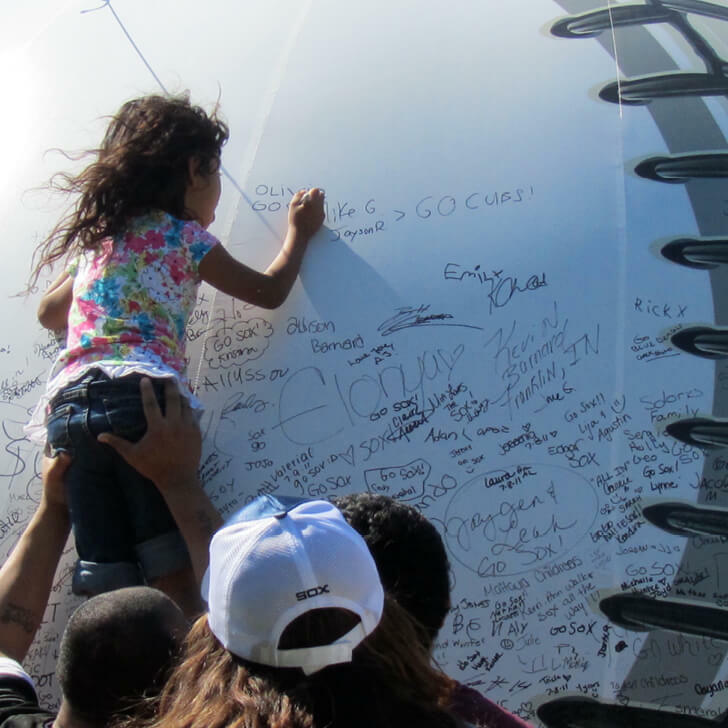 The baseball drew tons of attention and passionate fans couldn’t wait to make their mark on it!